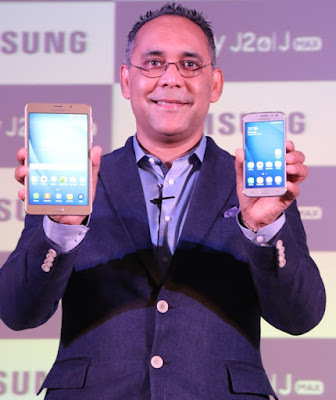 Samsung India today announced the launch of two new additions to its highly successful Galaxy J series of smartphones - Galaxy J2 2016, with two new innovations – Turbo Speed Technology and Smart Glow, and Galaxy J Max, which comes with a 7-inch WXGA display. Galaxy J2 2016 is a follow up version of the Galaxy J2 launched in 2015, which is currently India’s top selling smartphone. It is also an addition to Samsung’s 4G enabled smart phones portfolio, which forms over 60% of the 4G market in India today. Galaxy J2 2016 has been re-engineered, re-designed and re-loaded with new ‘Make for India’ features such as Turbo Speed Technology (TST), a revolutionary innovation which results in superior device performance, and Smart Glow, a next-gen colour LED notification system for the convenience of the user. TST is a revolutionary innovation which results in superior device performance including native apps loading up to 40% faster than devices with double the RAM. “At Samsung, we are always looking for ways to enhance user experience and drive consumer delight. With the advent of 4G, exponential increase in app usage and ensuing need for multi-tasking, consumers are on the lookout for high performance device. With Turbo Speed Technology, Samsung engineers have made a quantum leap in optimizing the operating system and hardware to provide consistent best-in-class performance out of the box and over time. Samsung Galaxy J2 2016 also comes with an innovative ‘Smart Glow’ notification system which has a wide-range of utility benefits while also adding a fresh new design element to the device. The Samsung Galaxy J Max with 7’’ screen is designed to offer consumers the best entertainment consumption experience on a smart device,”Mr Manu Sharma, Vice President, Mobile Business, Samsung India, said. § Re-engineered with Turbo Speed Technology: Samsung has re-engineered J series with the introduction of Turbo Speed Technology (TST) in Samsung Galaxy J2 2016. TST is a revolutionary innovation which results in superior device performance including native apps loading up to 40% faster than devices with double the RAM. Samsung has rewritten native apps such as camera, gallery, and contacts, etc. that are most frequently used by consumers. It also proactively shuts down idle processes running in the background and declutters RAMusing its intelligent memory system to ensure resources like RAM and processor are free and ready to take on new tasks, thereby extending fastest in-class experience. § Re-designed with Smart Glow: The innovative Smart Glow in Galaxy J2 2016 is a next-gen color LED notification system. This feature has been developed based on the insight that smartphones tend to get cluttered with notifications. Smart Glow consists of an LED ring around the rear camera which can be customized for priority notifications of any app or contact. While up to four alerts can be set, consumers can create and choose their own color for the Smart Glow. It also alerts a user if they are running low on battery, internal memory, or mobile data. Users can also use the Smart Glow LED ring to position the rear camera for higher mega-pixel selfieswith the Selfie Assist feature. This is further complimented with a new Smart Notifier software feature which allows customizable bucketing of notifications so that users never miss important notifications. § Re-loaded with ‘Make for India’ features:The latest Galaxy J2 2016 and J Max smartphones come loaded with ‘Make for India’ innovations such as S bike mode and Ultra Data Saving mode. The 'Ultra Data Saving' (UDS) mode provides up to 50% mobile data savings by blocking unnecessary background applications from consuming data. It also has a proprietary data compression technology, which ensures the most cost-efficient 4G experience. 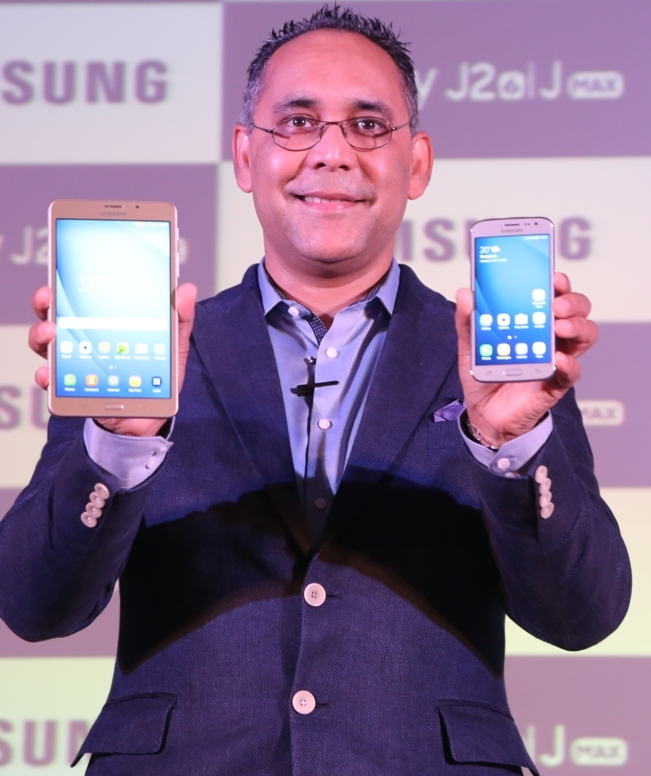 The Samsung Galaxy J2 2016 device will be available from July 10, 2016across all channels, at a price of INR 9,750. Both Galaxy J2 2016 and Galaxy J Max will have a six month data offer from Airtel where prepaid consumers can benefit from a double data offer worth up to INR 4,500. Galaxy J Max will be available across channels from end July, 2016 and will be priced at INR 13,400. Consumers will get a Samsung Bluetooth headset in-box for a convenient calling experience and enjoy a one year premium ad-free subscription of Viu which offers unlimited Bollywood and regional movies, TV shows and webisodes besides having the largest collection of music videos, making it the ultimate destination for entertainment.